Day two of TIBCO NOW just wrapped with a day chock-full of our favorite subject: our customers. Customers form the DNA of TIBCO, and it’s always a pleasure to highlight their successes. We want to send a big thank you to all of them for sharing how they’ve made innovation a priority at their organizations. Here are some high points that were hit throughout the second day of this fast-moving conference. 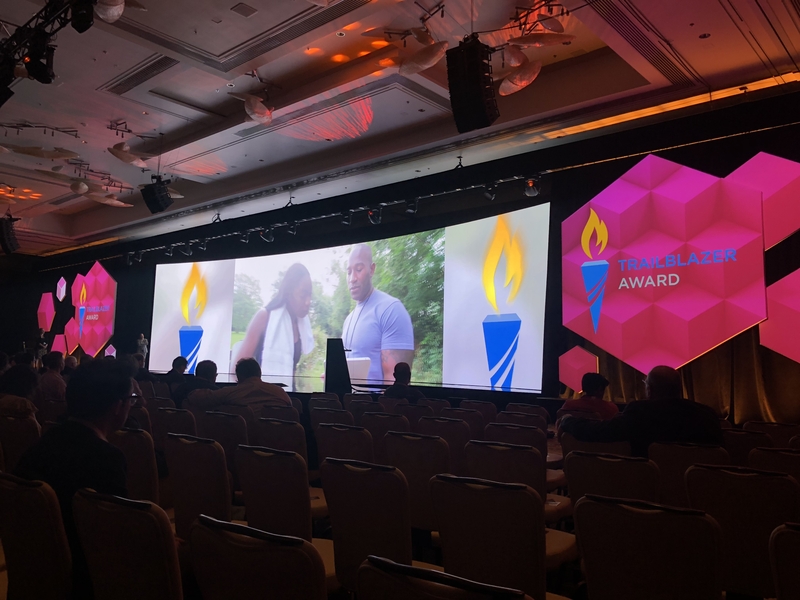 To open the second general session, CMO Thomas Been asked: “how would you rank the importance of culture on innovation?” Most successful organizations, it turns out, would say culture is just as important as the people in an organization. According to Been, you can give employees the right tools and the right data, but they won’t innovate if they don’t feel confident. That sense of confidence is dictated by the culture and that culture comes from the strategy set by the execs of an organization. Been then introduced three of our amazing customers who talked about how they have implemented successful strategies and cultures of innovation. They shared recipes for success that are applicable to most industries. 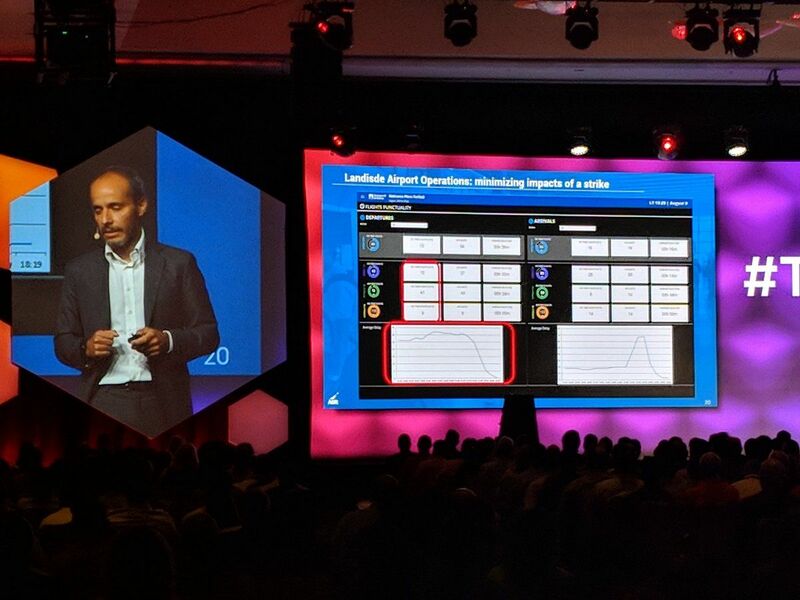 He used this lesson to implement TIBCO Connected Intelligence solutions to turn the Leonardo da Vinci-Fiumicino Airport (Rome), Italy, into the best airport in Europe with over 40 million passengers for 2018 as rated by the Airports Council International (ACI). Impressive use of innovative thinking and practices, we think. 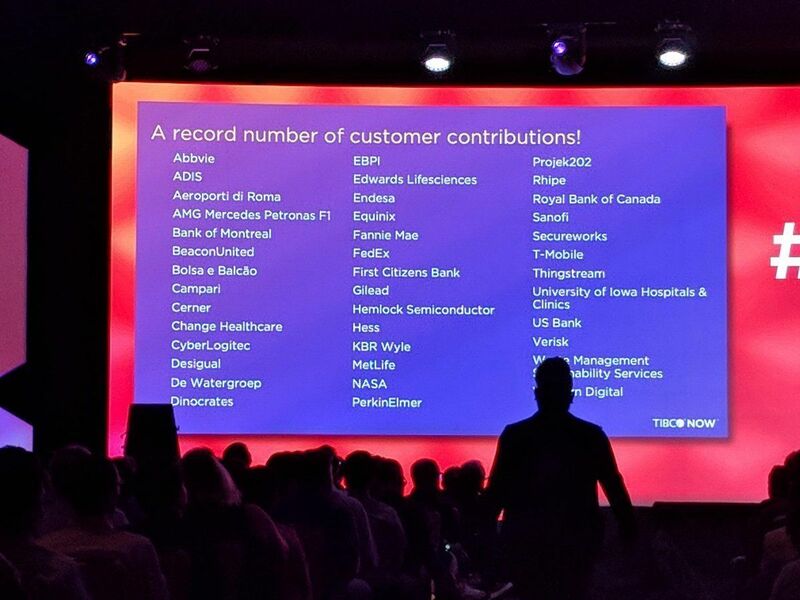 With the help of TIBCO and their forward thinking innovation strategies and culture, BMO was able to reimagine the customer experience and create an intuitive, one-bank experience while digitizing the bank. 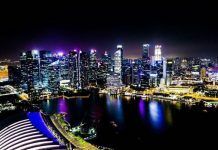 Willis also expressed how leaders need to set the tone for the rest of the company: “We need an environment that allows freedom so people at many different levels can take risks. 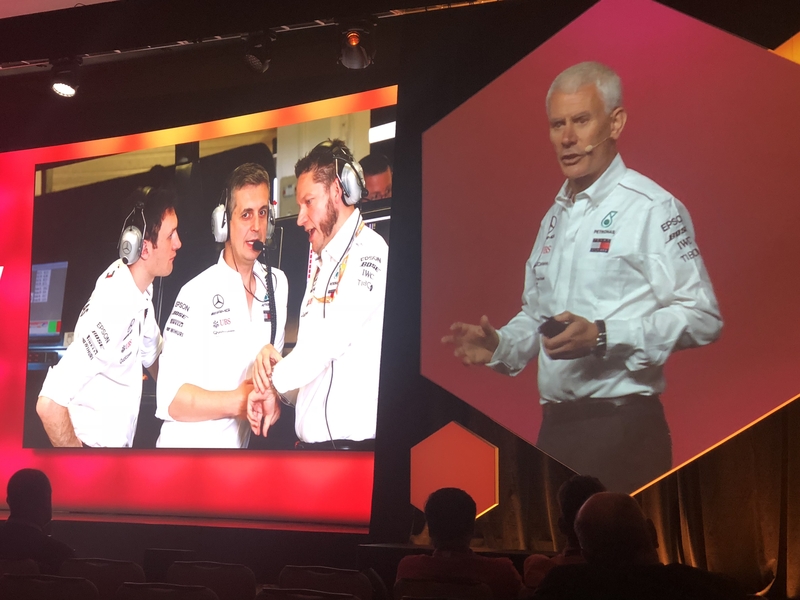 Leaders have to define the intent and let local people make the decisions.” Mercedes-AMG Petronas Motorsport has to deal with the unexpected, allowing them to thrive, incorporate, and embrace change. And TIBCO helps them do just that. 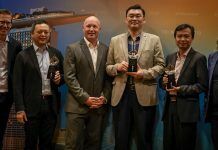 Steve Hurn, VP of Global Sales, announced the recipients of the 2018 Trailblazer Awards, recognizing the innovative use of TIBCO technology to generate positive business results. Learn more about this year’s award winners in our spotlight blog. 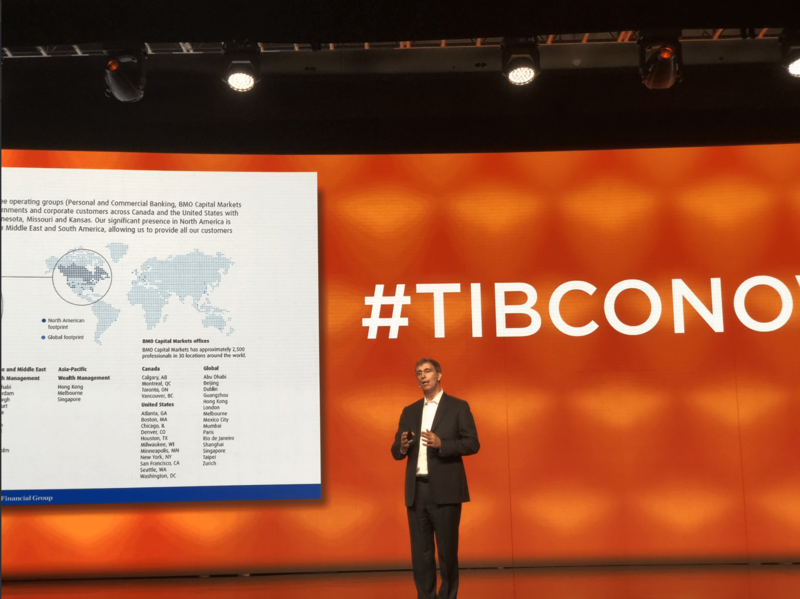 “If you think some of the things that are talked about here at TIBCO NOW are futuristic or you are skeptical, you should leave that skepticism in Vegas,” said Konnanath. 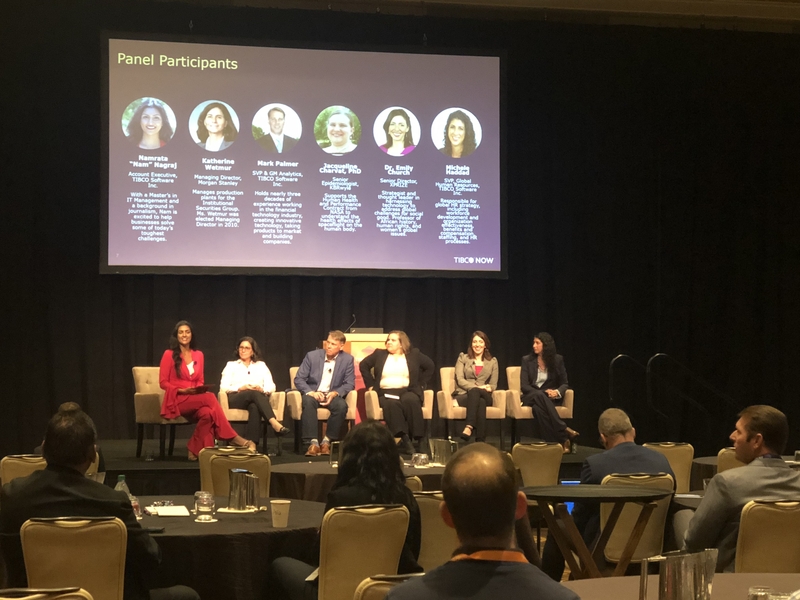 A highlight from day two was the diversity panel, a terrific chance to discuss and explore the effect of diversity on innovation. Turns out, the more diverse the team, the more innovative they are. 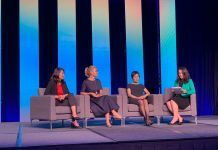 The panel discussed the challenges of increasing diversity in the workplace and how everyone in an organization needs to be involved with focusing on diversity. According to Katherine Wetmur, Managing Director of Morgan Stanley, “you can’t take huge steps, but rather small steps towards diversity.” Every little step and effort made towards diversity makes a huge difference, whether it is bringing awareness to unconscious bias or having groups to create a feeling of inclusivity within the organization. 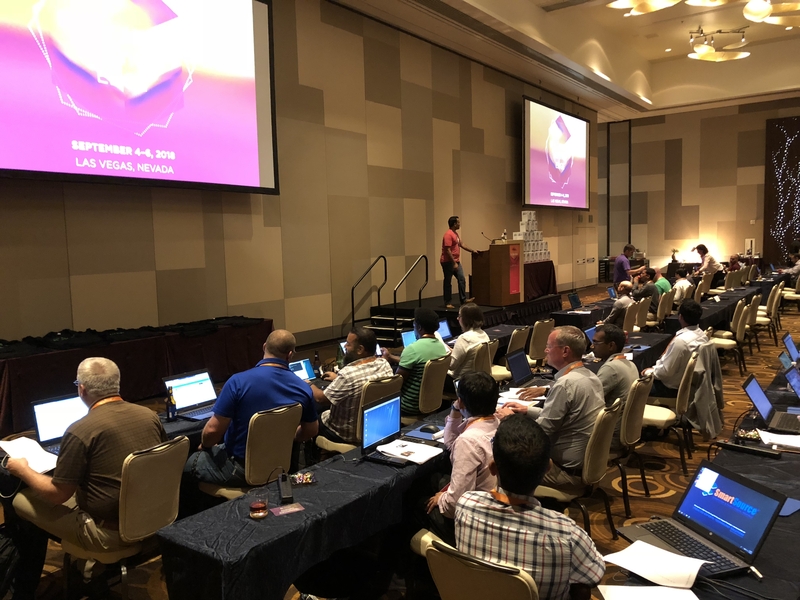 The night wrapped up with the App and Data Challenge, which allowed conference attendees to complete a friendly challenge of their choice: build serverless integration apps or create dashboards using visual analytics to discover insights. No matter the technical level, there were experts to help guide participants so they could enjoy the event and learn at the same time. Stay tuned for our recap from the third and final day of TIBCO NOW. In the meantime, keep up with us on social media, and use the hashtag #TIBCONOW to share your highlights from the conference.